Adobe Creative Suite is actually a collection of applications, each with specialised uses, and each integrated to enable you to pass images between them. One of the most useful of these applications is Adobe Bridge. 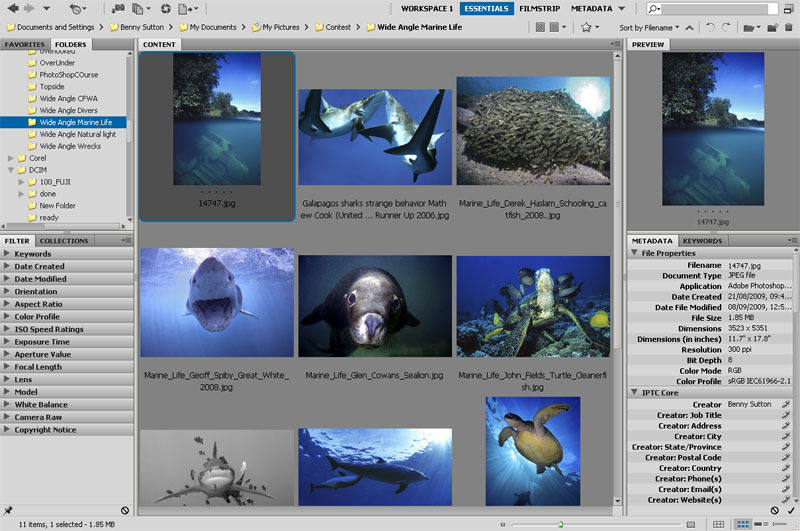 It is a workflowthe process from taking your digital images downloading them onto a computer and color managing them through to printing and archiving them tool for keeping track of your images on your hard drive, making them easy to find, name, and add Metadata to them. In short, Adobe Bridge is the image management tool of choice.